Will you sponsor me for Christmas? I’m bright, a affectionate and cheerful. I love playing and eating. Sponsoring me will make a really special Christmas present for somebody… Wishing all my fellow friendly creatures and supporters at the Sanctuary a very happy and peaceful 2016! The Sanctuary welcomes a beautiful new piggy family to a safe and fun-filled life with us. 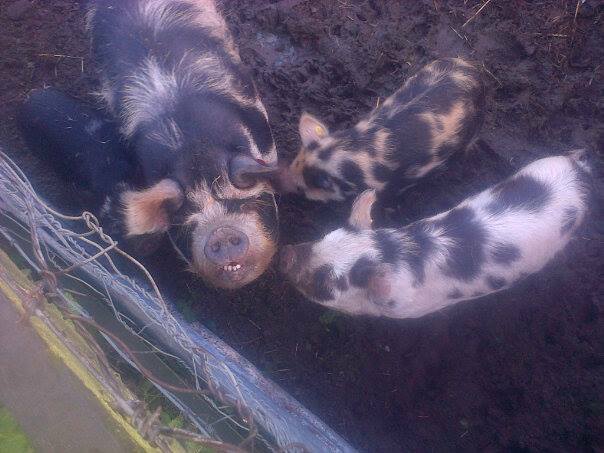 A new enclosure has been made by volunteers for Mum Mary and her three little piglets. 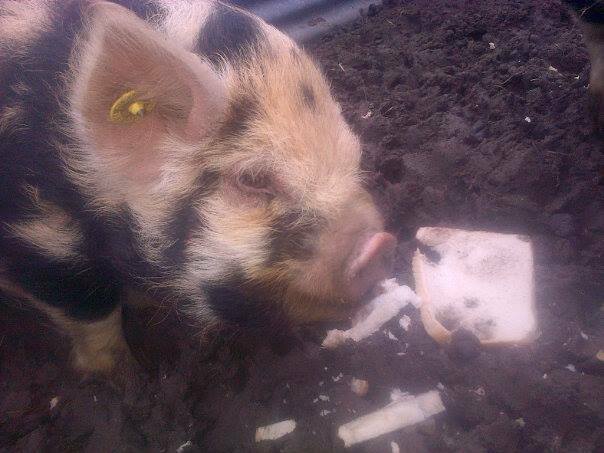 Mary is a Kunekune pig, a breed originally kept by Maoris in New Zealand. They are very friendly, hairy, rotund pigs!